I’m gonna be honest, I hesitated to try teaching sight words to E for the longest time. I wasn’t sure if they were going to be interesting to her and didn’t want to frustrate her while she was working so hard on sounding out words. I finally decided to just see how it went, and she LOVED it! Even with plain flash cards, she couldn’t get enough and kept asking to practice. 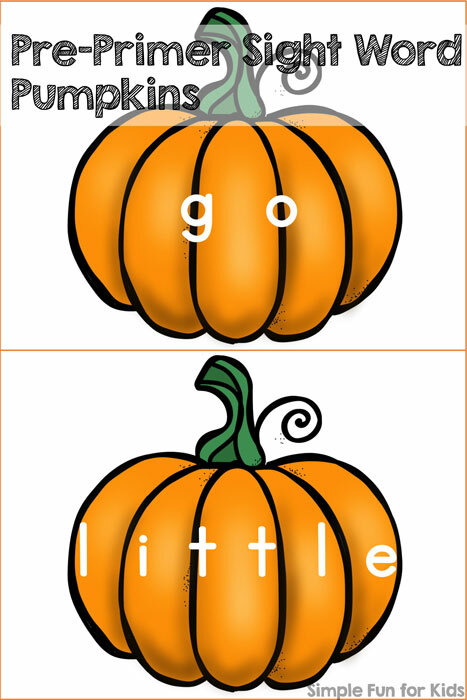 To support her learning, I made these Pre-Primer Sight Word Pumpkins that can be used for lots of different sight word activities! I’ve included all 40 Dolch pre-primer sight words written on pumpkins in order of frequency. 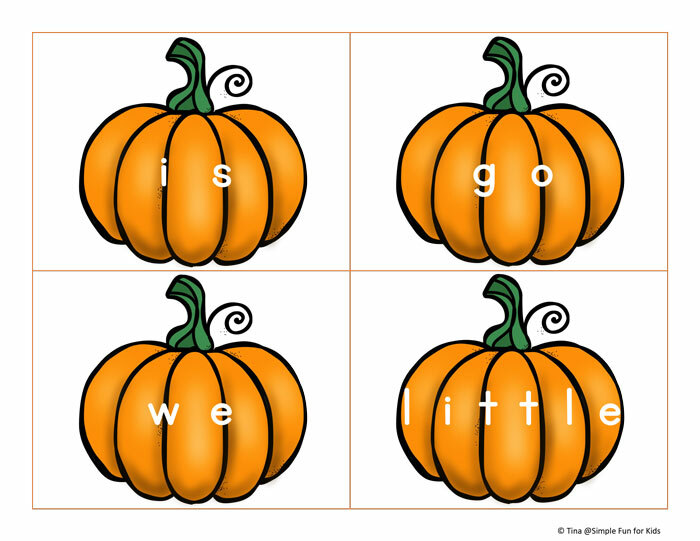 There are four pumpkins on a page for a total of ten pages. If you want a smaller size, like I did for a sight word memory game we’ve played, you can easily print several pages on one sheet. For hanging up in a pocket chart or elsewhere where you want to be able to read them from a bit farther away, printing two pages to a sheet works well. 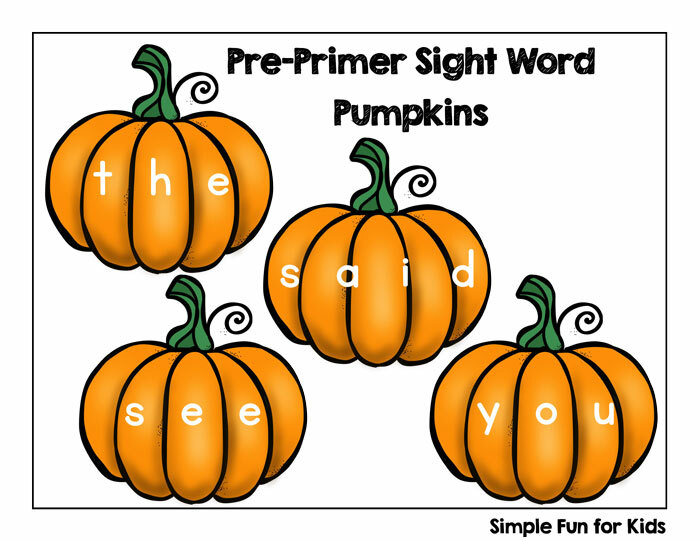 Download your Pre-Primer Sight Word Pumpkins! These would have been perfect for our Sight Word Pumpkin Smash Activity!! Ooh, that sounds like fun! How did you play?